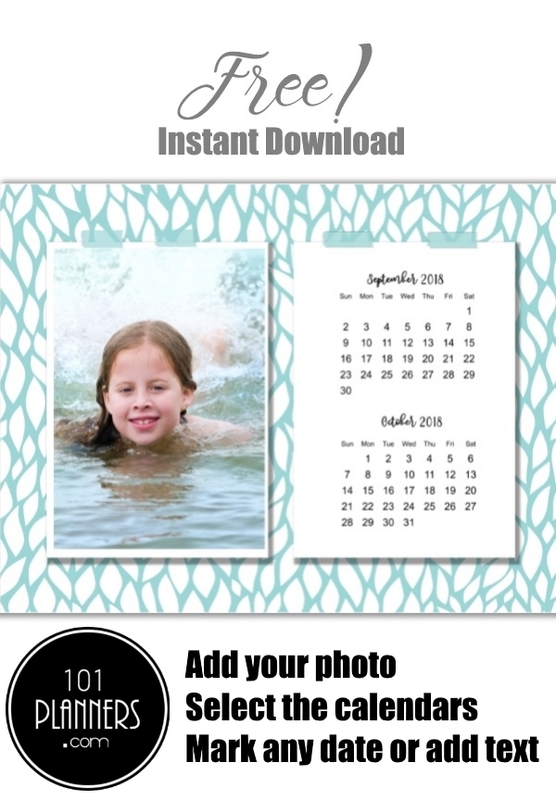 Create a free photo calendar online and then print at home. 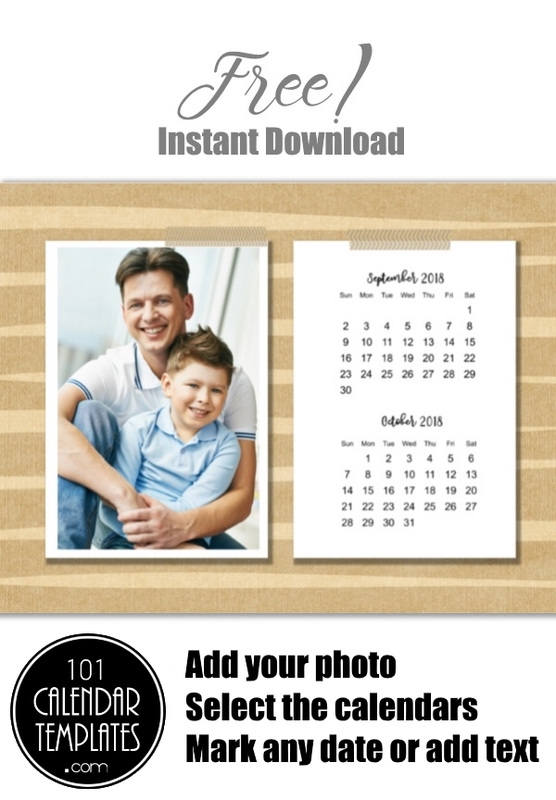 Add your own photo and mark any dates that you want to remember such as birthdays, anniversaries or appointments. 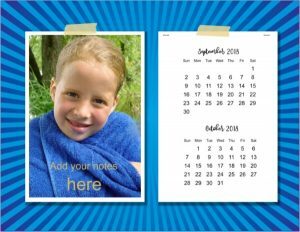 You can make one monthly photo calendar or 12 calendars for the next 12 months. 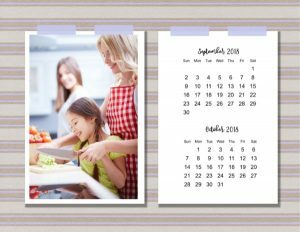 To make your own photo calendar free of charge, choose a calendar template from the selection below. 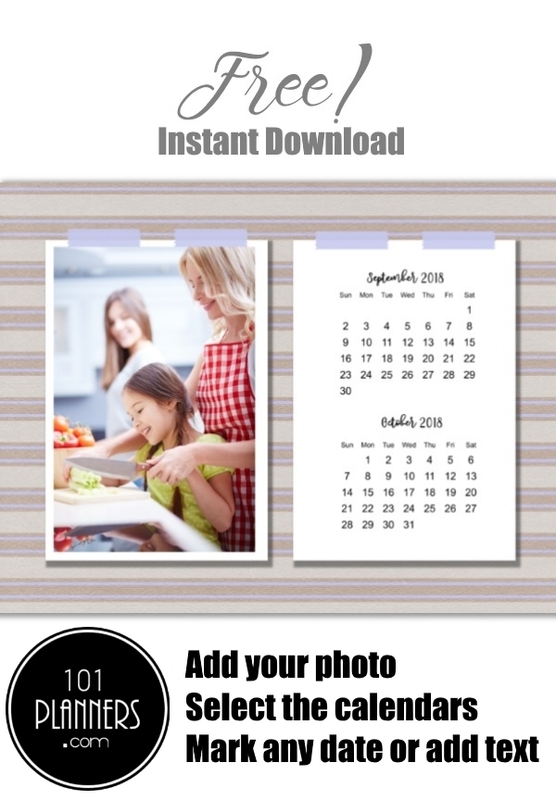 Click on “customize” to open the free photo calendar maker. 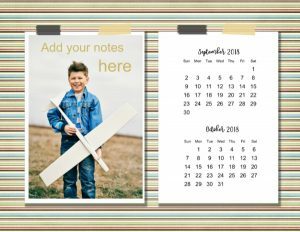 The following photo calendars have only one month per page. 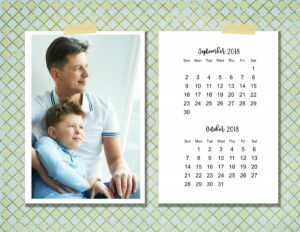 We also have a 2-month calendar with photos below. 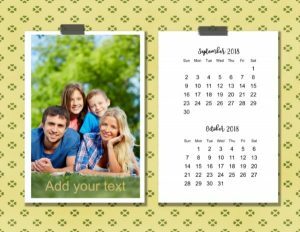 Add a photo to any specific day, add icons to mark events and appointments and add your own text. 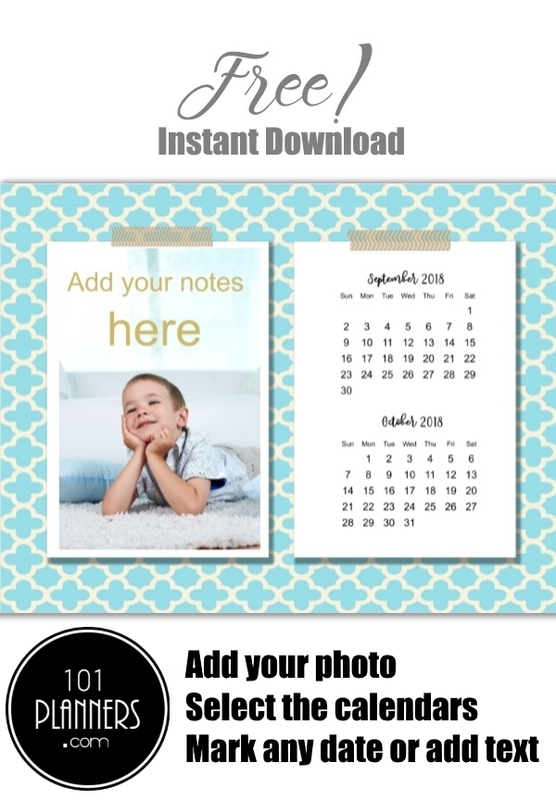 You can also add Washi tape and other embellishments. 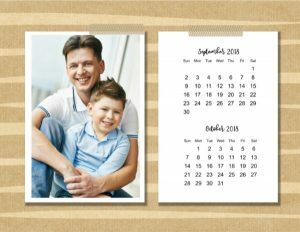 Description: Black and white custom calendar with your own photo and text. 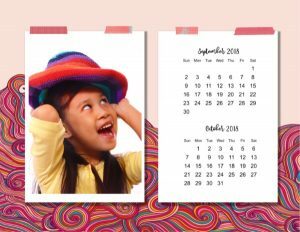 Description: This calendar has a beige background with pastel colored stripes. 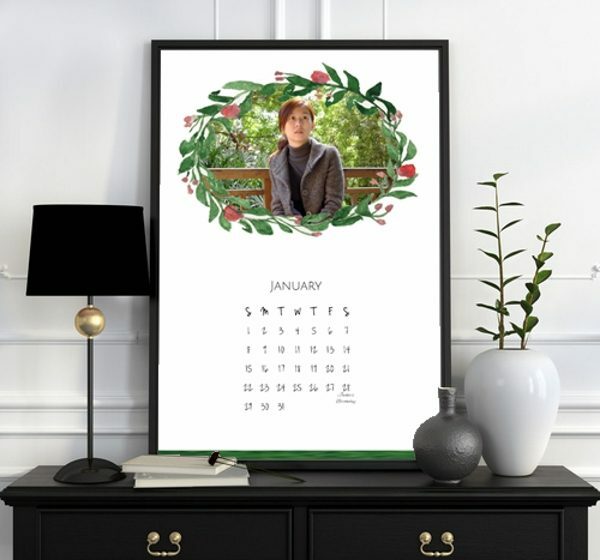 It has a Polaroid picture on the top with your image. 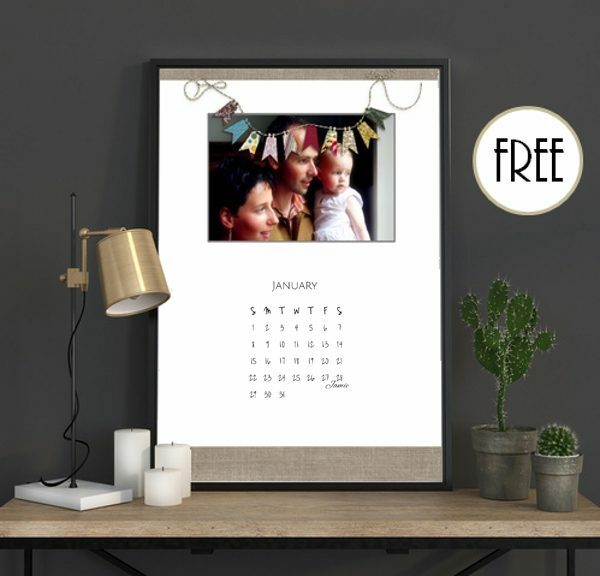 If you prefer then you can move the month from the Polaroid to the bottom of the calendar template and write something under the photo instead of the month. 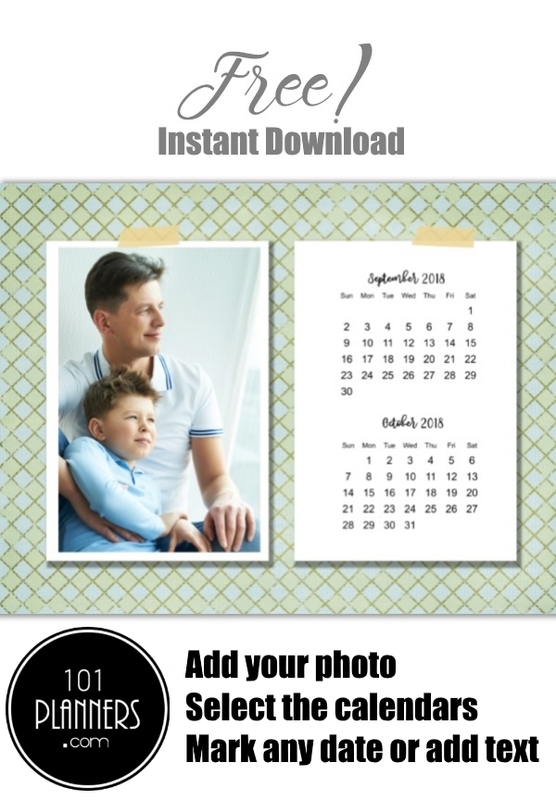 You can also add the year if you want to include it. 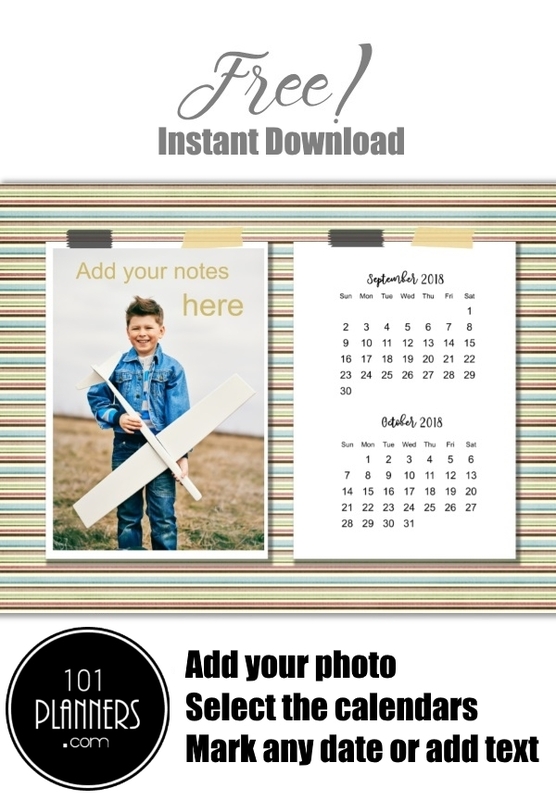 Description: Free printable photo calendar with your own custom photo “taped” with washi tape. 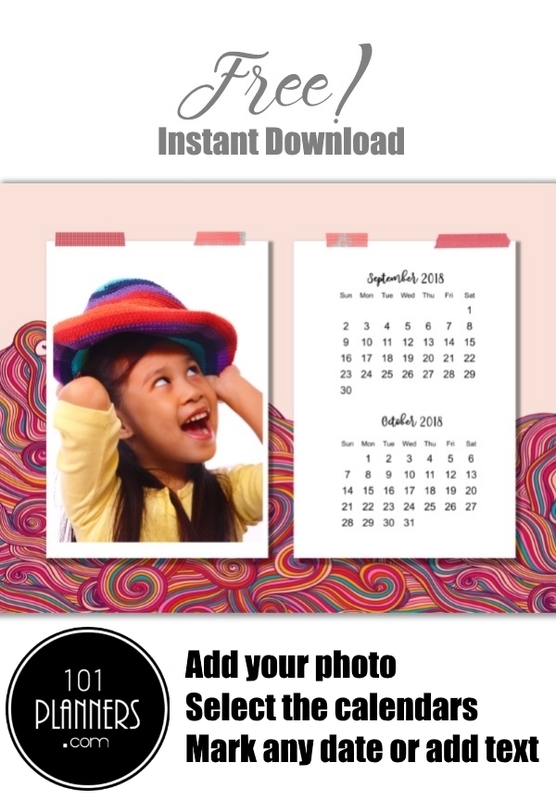 Our calendar maker will enable you to upload your photo before you print the calendar. 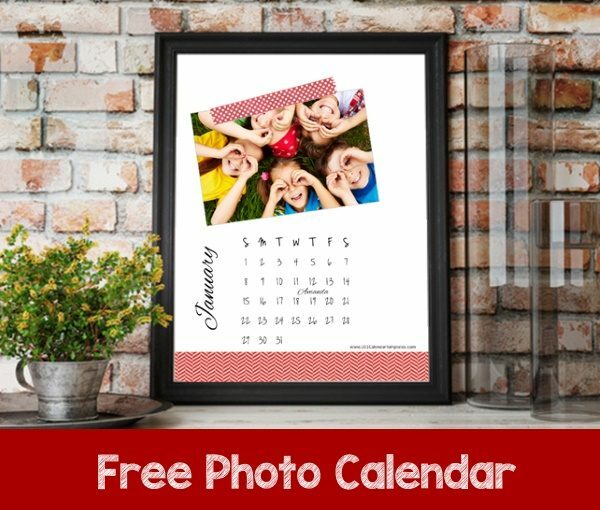 Description: Free photo calendar with a white background and a red pattern on the bottom of the page. 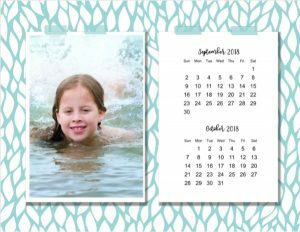 The photo is “taped” with red washi tape. 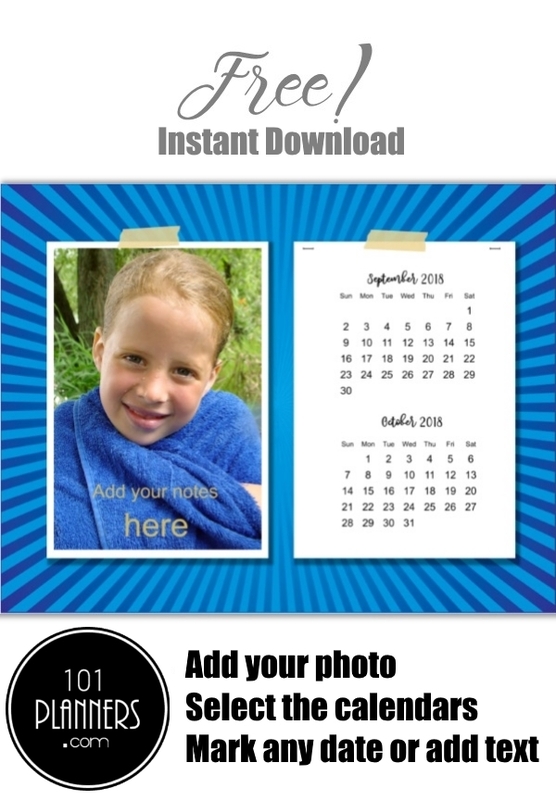 Upload your photo and add any text before you print. 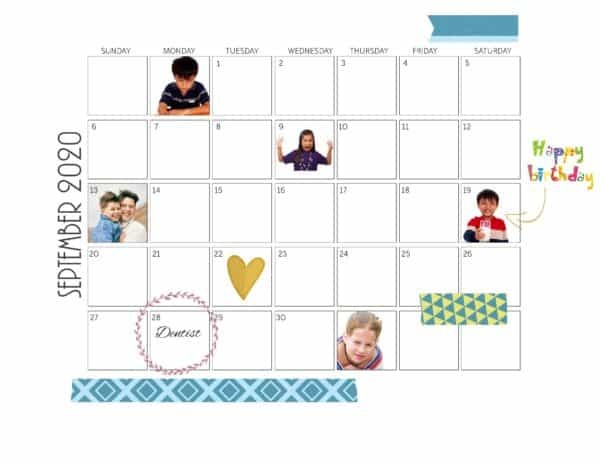 Description: Free printable photo calendar template with a banner that will appear on your photo. 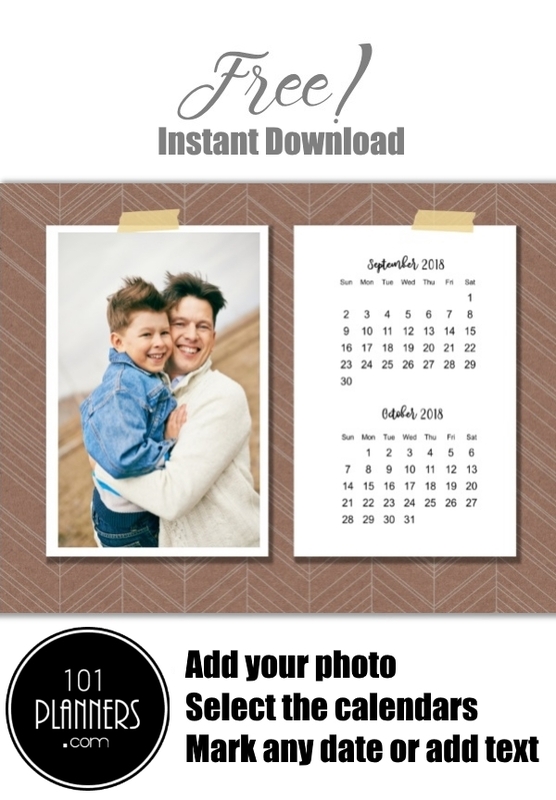 Description: Free printable custom calendar template with a decorative wreath around your photo. 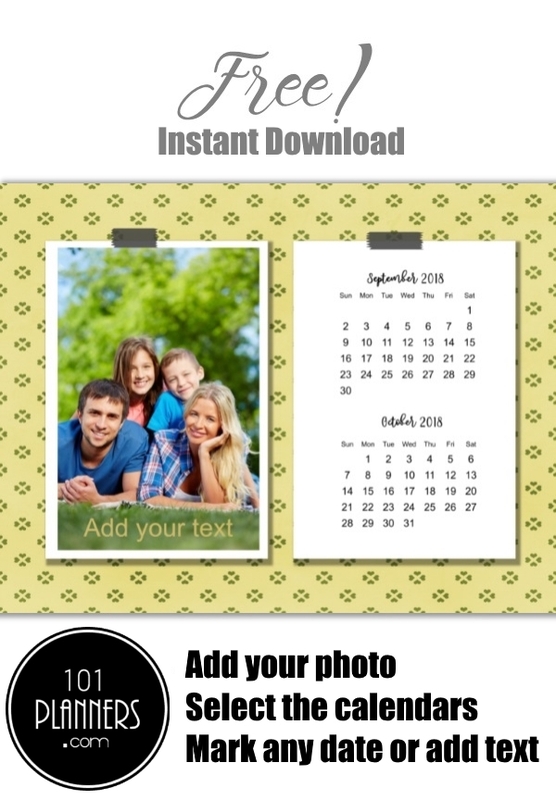 This 2 month calendar has space for a photo that you can insert. 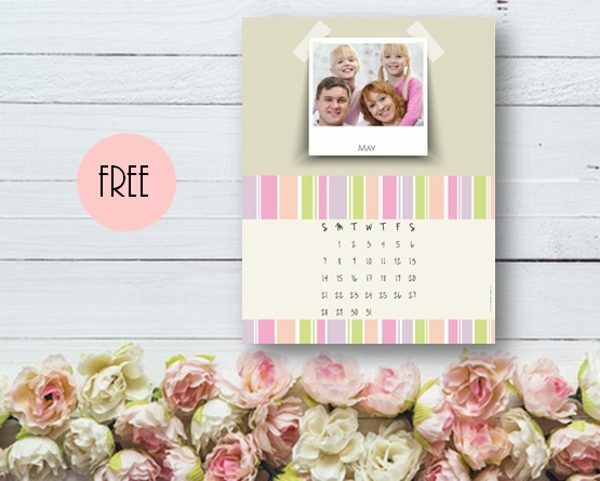 You can also select which two calendars will appear on the printable calendar. 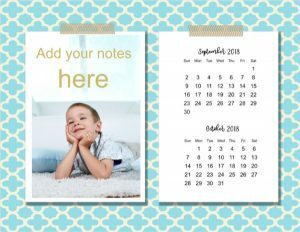 Choose any two months. 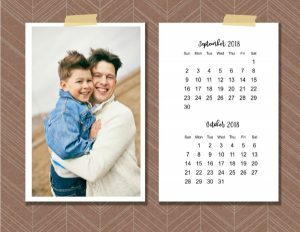 Feel free to add text or icons to mark important dates. 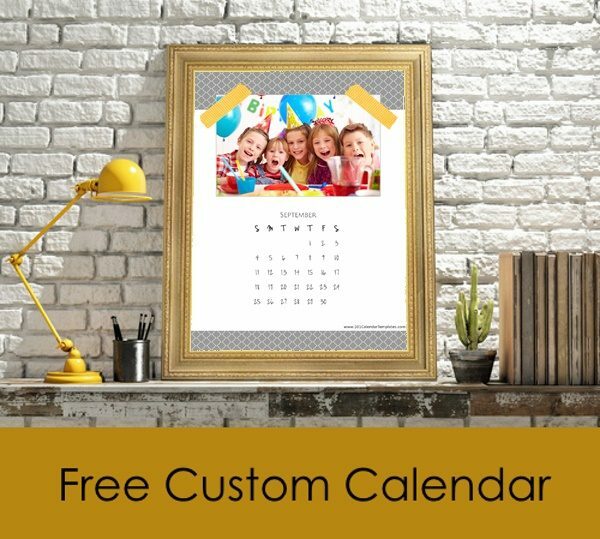 Click on the button to open the photo calendar creator and start customizing your free printable calendar.